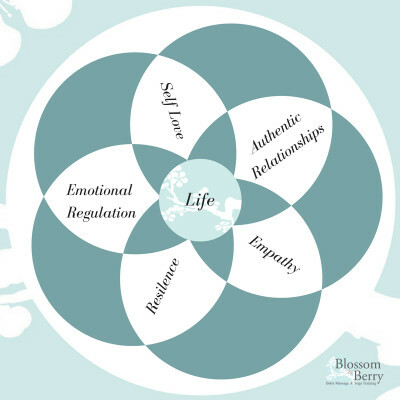 The importance of infant mental health and the creation of secure attachments for babies and children is at the heart of all we do at Blossom & Berry through teaching nurturing touch, massage & yoga. Research studies have revealed that responsive care and secure attachment is absolutely vital for the physical and mental health and wellbeing of babies (Schore & Sigel). Responding to babies with love, providing nurturing care and positive interaction enables babies to understand they are accepted, valued, respected and belong. The security and trust that is built through responsive care helps babies to feel connected and relaxed which in turn enables learning, growth & development. “Human connections create neural connections” (Sigel 1999). Science shows that a baby’s future is determined to some degree by his/her genetics but recent studies in epigenetics show that a baby’s brain development is influenced by the interaction of his/her genes with the environment in which he/she grows. Babies have millions of brain cells at birth but it is how these brain cells connect that will influence many of a baby’s outcomes. Early brain architecture can influence babies’ physical growth and development and the ability to form relationships and socially interact. How we interact with babies in the first three years of life will profoundly effect their future and ours. The way we treat our babies is how we create our future society. If we want a more peaceful, connected society, we need to start looking at how we respond to our babies’ emotional needs and begin to teach the qualities we wish to see in the world. The greatest gift you can ever give a baby is to communciate love, respect and acceptance. Babies need to feel that they belong to thrive. The importance of nurturing touch and physical contact. The bond, connection or attachment between a parent and baby is vitally important to support a baby’s physical and mental development. All of these are present during skin to skin practice or baby massage which is why it is so powerful in supporting the bonding process. The first 1001 days of a baby’s life are seen to be critical in the formation of the architecture of the brain. This period starts from conception until the age of two. Everything a baby experiences within this time shapes his/her brain and will influence his/her outcome. Baby massage communicates belonging and acceptance through touch and can help to wire a baby’s brain for emotional intelligence by parents tuning into, and responding to babies cues with love and care. Being respectful and accepting of baby. These qualities in parents enable babies to understand that the world is empathetic and compassionate place. Babies are constantly learning and adjusting the the world. When a baby communicates a need to his/her parent and recieves a loving response, the baby knows that his/her parent provides the support, and care he/she needs. If he/she communicates a need, and the parent does not respond, he/she feels fear, seperation and isolation which cause cortisol based hormones to be produced in the body. A cuddle or physical connection helps to balance these hormones, but babies who are exposed to frequently periods of prolonged crying or neglect can experience stress and this can develop into issues such as anxiety, anger and depression later in life. No baby is born with genes for these conditions. They are thought to be a result of our experiences. We believe that all babies should receive respect and loving care and we created our Nurture Manifesto to promote this. Many people are fearful of holding their babies too much or “spoiling” babies with love. All the research shows that the more connection a baby experiences, the more confidence and independence he/she will develop. Studies are showing that happiness and fulfillment in adults comes from a sense of belonging and an authentic connection to others. This process begins in infancy and childhood which is why early interactions with our parents, caregivers and family are so important. The more love you receive as a child, the more you understand the world is a loving place and the more likely you are to interact with others with love, empathy & compassion. This is the premise of our campaign Love Creates Love. 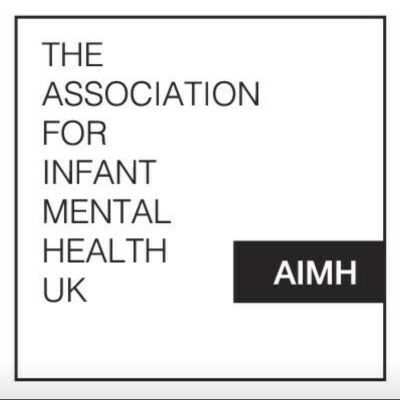 All our training courses cover infant mental health in detail and I have personally undertaken extensive training in infant mental health to complement my teaching. Blossom & Berry is a member of the Association Of Infant Mental Health. Below are some more resources that you might find useful. Please do share any resources with new parents.